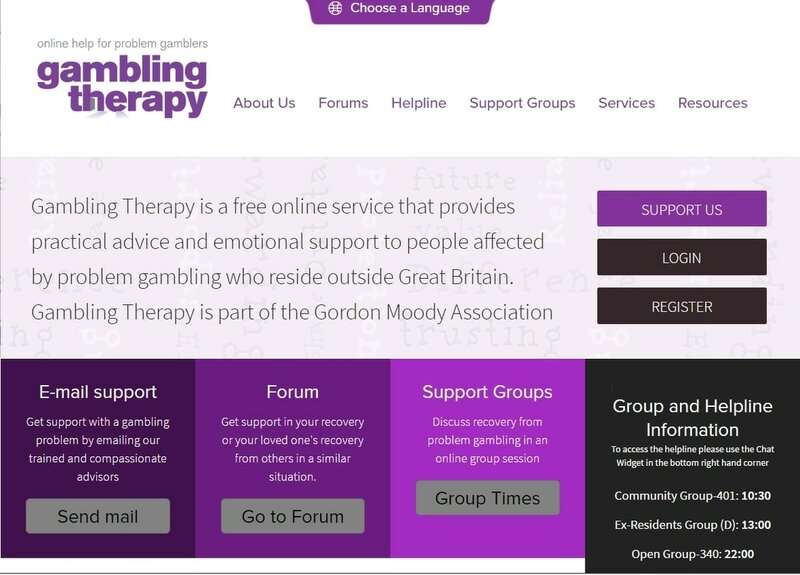 The App is not only a valuable tool for the user to track or resist gambling urges, it can also complement counselling sessions and provide valuable information to therapists. The Gamban App is a software application for PCs and Laptops (Windows and Mac), as well as Android and iOS devices. Gamban is designed to block access to all gambling sites. 31.10.2018: Gamban have provided us with a promo code, which covers up to 3 devices for 60 days, at no cost. Please note, that you must enter card details to create an account and that you will be charged €11.99 per year, per device, after the 60 day free period. To get your promo code, simply email info[at]problemgambling.ie or call/text Barry on 0892415401. All communications are completely confidential. Created by Elements Behavioural Health, iPromises is an iPhone recovery App with trigger alerts, a visual journal, and a directory of phone numbers for support anywhere in the US, Canada, and some international offices. Users can add friends and share meetings, track progress and challenges, and get a daily positive message. It also enables them to track any setbacks, issues or achievements. To date, approximately 5,000 people have downloaded this App. Keep track of your daily moods and activities in the Journal, and take our Daily Survey to see how various areas of your life – from nutrition and sleep to relationships and stress management – are changing over time. Week by week, you’ll be able to identify areas where you’re improving as well as areas that you need to focus on. When you actively participate in the features of the app that promote ongoing recovery, you boost your Sobriety Score – a barometer for your recovery that increases your awareness of how you’re doing. Available for Apple and Android devices. Download here (scroll to the bottom of the page). Some excerpts form Gamblers Anonymous literature including the little Red Book, The first 90 days, climbing the twelve steps and the Unity Programme. Once downloaded, it does not need any more access to the internet and therefore no data charges. Download here (Android only). This app uses Rational Emotive Behavioral Therapy (REBT), which is similar to Cognitive Behavioural Therapy. REBT is also used by the SMART Recovery movement. The app helps you to identify your triggers to gamble ('activating events'), examine irrational beliefs associated with those triggers and dispute those irrational beliefs - leading to a change in your philosophy. Download here (Android & Apple). This app has been developed to help prevent relapse in all forms of addiction (including gambling). Users can track money saved as well as days in recovery. The app also includes a community forum. Download here (Apple). Download here (Android).